Rick Simpson Birding: Species Champions! 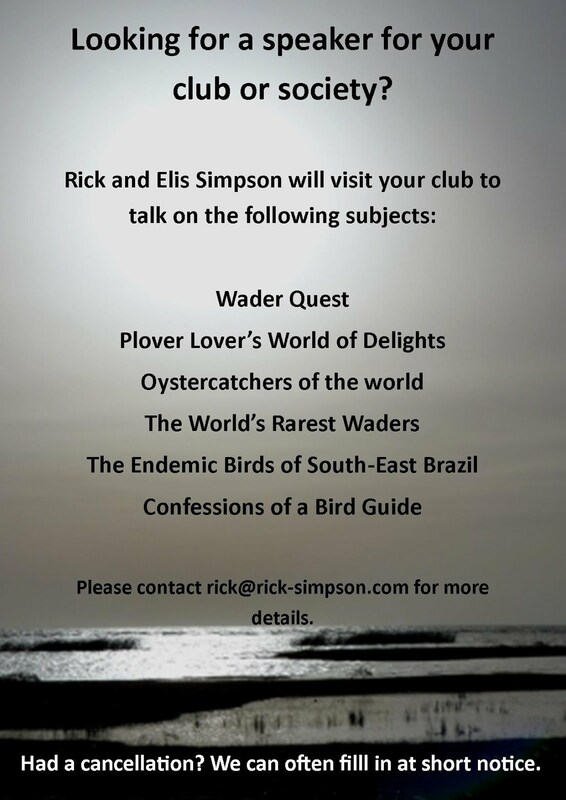 Elis and I have decided, in the name of Wader Quest, to put (more of) our money where our mouths are and have committed to being BirdLife International Species Champions as part of the BirdLife Preventing Extinctions Programme. Elis and I are really happy to be supporting BirdLife with their work on all globally threatened species (Critically Endangered, Endangered and Vulnerable). Of the critically endangered species of wader in the world we have only seen two so far and hope to be seeing one more later this year, however realistically we have little chance of seeing any more in this first year of Wader Quest. Javan Lapwing, Eskimo Curlew and Slender-billed Curlew are all thought to be extinct, Jerdon's Courser has gone off the radar and the last species on the list, St. Helena's Plover, we will definitely make the effort go and see one day, but it is doubtful we will get funding help, so probably not this year. The first of the two species we have seen is Spoon-billed Sandpiper which we saw last November just after Wader Quest started. We saw three or possibly four birds in total and spent many happy hours in their company at Pak Thale in Thailand. 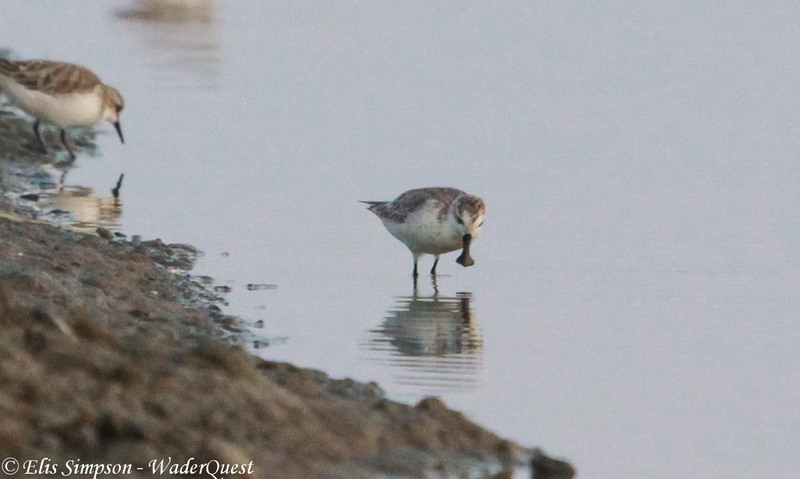 Spoon-billed Sandpiper, Pak Thale, Thailand: November 2012. The second species is Sociable Lapwing. I saw my first of these at Dartford in Kent in March of 1985, my second was at Welney in October 1990 and my third in Chatteris in 1991. I don't really expect that we'll be blessed with any more in the UK any time soon as their numbers have fallen significantly hence their status as Critically Endangered; we can but hope. 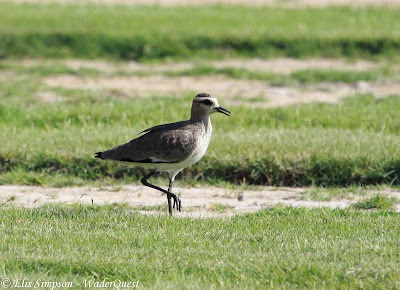 During Wader Quest we saw them on the Pivot Fields of Dubai in November of 2012. There were four birds present. 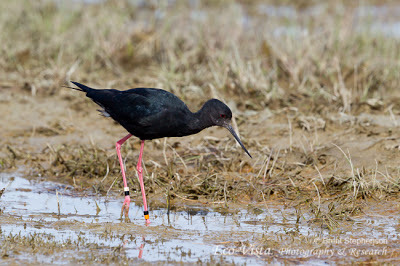 This is the only other hopeful for us, the Black Stilt. This bird has stubbornly resisted attempts to build a strong population, one of the problems facing it is interbreeding with White-headed Stilts in its New Zealand home. Black Stilt. Photo courtesy Brent Stephenson, Eco Vista.